According to the New York Daily News, Lois is going to be hooking up with Jonathan Carroll – a brand new character to the DC Universe. Next Article TRAILER: HOLY TERROR, BATMAN! Are we supposed to not be able to embiggen the images? They are too tiny to read…. That’s the only image I was able to find… no one seems to have the larger image. I expect that will change once DC starts their Superman panel this weekend. I think the whole not being married thing is the first news that I have actively disliked coming out of the Relaunch. Most of it has been basically a wait and see thing for the most part, this is the first change that actually just bothers me. Since it will be “they’ve never BEEN married” I see it as just another thing about the whole rewhatever (be it Superman-centric or DCNuU-wide) I dislike. It’ll last a year until they have THE NEXT CRISIS (yes, again!) 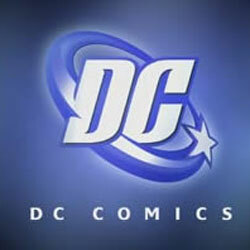 that will reshape the entire DCU (yes, again!). 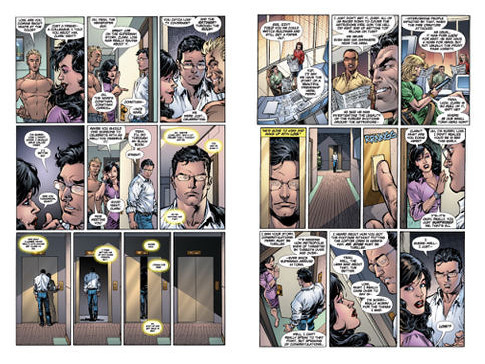 Quick, someone get Superboy Prime to punch reality again. Lois’s comment there seems a little…um…odd. “Maybe you ought to find someone to celebrate with, as well!” Given how she’s obviously…celebrating…it makes the comment seem a bit…uh…yeah. It’s usually referred to as a “little black book”. Might be a little dated for the younger crowd, but I think more people that not would know that that’s a reference to someone’s address book that’s dedicated to dating prospects. This is feeling more and more like New Coke. Hmm, Brand new day for Superman? Don’t like it. Wow, I was going to comment about disliking everything about this when I saw krypt0nian’s comment and I can’t improve on that statment. New Coke. That sums up this mess perfectly. What was so bad on a character and relationship development after decades of running around solo and playing hide an seek? Why tearing this wonderful realtionship apart? Was mad about Brand new day, but this is even worth. New coke, yeah, thats the real statement. I’m calling it: Jonathan Caroll is John Constantine. Stephen had said that this was a Relaunch not a Reboot. I took that to mean that the continuity would be intact. How is this not a Reboot. And since we’re on “R” words, why don’t we just call it a Ridiculous Retarded Retcon? In fairness, DC’s been really slippery about this. They’re insisting on calling this thing a “relaunch”. Some characters are supposed to pretty much keep on keepin’ on with some minor tweaks here and there to their current goings on (Batman & Green Lantern) while some are being restarted anew (Superman & Teen Titans). And there’s even more minor (?) things like characters on promo materials vanishing later from those same materials (Not Donna Troy), or things like minor costume changes (Wonder Woman’s single character piece having the pants but in The 52 that same piece has Wonder Woman back in the shorts (which doesn’t look good with the blue boots IMHO) while still having the pants in the JLA thing). And since we’re on “R” words, why don’t we just call it a Ridiculous Retarded Retcon? Because many people find the use of retarded as a pejorative offensive. I propose “Ridiculously Reasoned Retcon” or “Ridculously Redudant Retcon” (Or ReWhatever for those still buying that this ain’t a retcon). We had the “DC Implosion” in the late 70s. Now we’ll have “DC’s 3 Rs”! I’m still reserving my opinion until I actually have the content in hand. I remember a lot of people talking about how horribly they sold out casting Heath Ledger as the Joker and how that meant the entire film was doomed. I don’t remember any furor over Ledger as The Joker, though I *AM* horribly sheltered. I do remember the furor over casting Michael Keaton as Batman (which I didn’t share, FWIW). Well, to be fair, there was very little in Keaton’s history to show he could pull off Batman. I had seen Clean and Sober, so I thought he might be capable, but a lot of people hadn’t. You look it up on Box Office Mojo, and it only made a little more than $8M. Even converting for inflation, that’s not a lot of people. so please forgive me if this comes out looking bad. I saw it in the Comic Buyer’s Guide. IIRC, while he’d done one or two serious films, he was much more widely known for comedy, so it WAS a bit of a controversial choice. But he did deliver. Over the years there’ve been many copycat superman stories that somehow seemed BETTER and more interesting than the then current DC superman storylines; squadro supreme,invincible among many. MANY many… the latest being irredeemable by Boom Studios. Perhaps this is DC’s way to open up new takes INHOUSE on the superman mythos. Both Marvel and DC have done this over and over, somehow never finding a flavor that sticks and ALWAYS coming back to default level. Heroes and heroines die, get seriously hurt, come back from retirement or a different universe but somehow they’re always there to continue in the same capacity. I LOVE the new direction of superman as it opens many doors never walked thru and this time it’s got the REAL superman in the spotlight. I’m hoping for stories tackling a not-so all-american super-powered alien coming to grips with everyone elevating him to godhood then realizing he IS a god compared to everyone. What would superman do? Please answer this, DC?